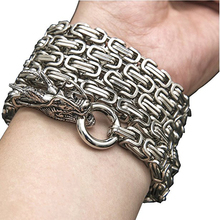 POWERFUL & SUPER COOL, can be as self-defense weapon, bracelet, necklace, car decoration and more. The power is enough to deter invader. MADE OF TITANIUM STEEL, Corrosion resistance, not harmful to skins, always stay new. DRAGON DESIGN, In China, from ancient times to nowadays, the dragon is a symbol of strength and perseverance, wisdom and accumulation of power. The dragon has become a major national symbol, survived until our days. This product is NOT sold in stores! Purfect4U will not be held responsible for any injuries or damage caused as a result of this product, or someone else with the products sold in this website. As purchaser of this product you agree that you are held responsible for any damages caused with this product to you, anyone else, or anything else.